Crème patisserie, it’s delicious and classic building block of all French pastry. 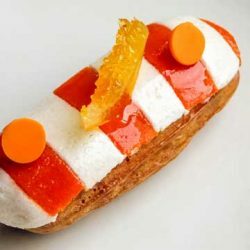 Any flavour can be added, however orange and Grand Marnier liqueur works particularly well. This combination of crème patisserie is used for French traditional desserts such as Soufflé and parfait. The creamy vanilla pastry cream, used in many types of desserts is perfect for profiteroles and eclairs. This recipe is gluten free. Rika Shiina brings international experience from her work at some of the best hotels in the world, including the 7-star Burj al Arab in Dubai and the Four Seasons Taipai. 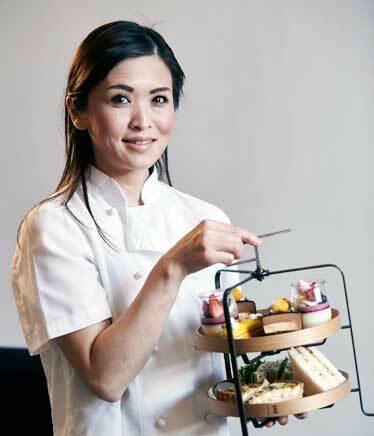 Closer to home, Shiina was an integral member of the of pre-opening team as Pastry Chef at Maze by Gordan Ramsay, while later earning a position as Head Pastry Chef at Sokyo, Star Casio and Princess Coco Chocolatier. In 2015, Rika joined the pre-opening team at Como The Treasury as Head Pastry Chef, where she brings an innovative approach to combining classic and modern pastries. “I try to create pastries for all generations, easily enjoyed anytime, anywhere.” Rika Shiina, Head Pastry Chef at COMO the Treasury, Perth. 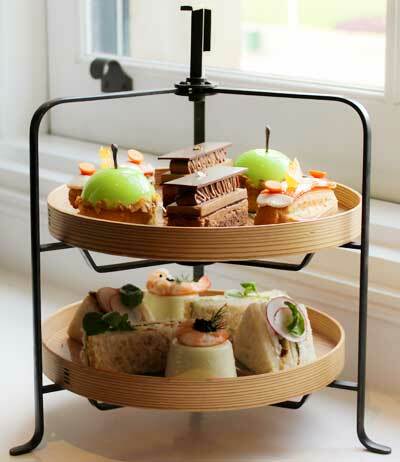 Find our story on the Afternoon Tea at The Treasury Lounge & Bar. If using vanilla pods, split the bean and scrape the vanilla seeds out of the beans. Place beans, milk, orange zest and vanilla beans into a saucepan. Heat the milk over medium high heat and bring it to a boil. Cover the pod with the lid and infuse the aroma for 1/2 hours. Place the sugar, yolks, corn starch and vanilla seeds in a bowl. Whisk until you have a thick, smooth mix. Temper the boiled milk with yolks mixture and cook out the starch, off the heat and add the butter and Grand Marnier. Cool on an ice bath. Transfer the crème patisserie in the mixing bowl and beat with paddle attachment until smooth. There is inactive time in this recipe to allow the crème patisserie to chill, about 2 hours to overnight. Make this the day before it’s required. So that its completely chilled by the time you need it.